(2012.201.B0299.0157, Oklahoma Publishing Company Photography Collection, OHS). Attorney, entrepreneur, oilman, railroad developer, and controversial politician Jacob Louis "Jake" Hamon was born June 5, 1873, in Grenola, Kansas. He graduated with a law degree from the University of Kansas in 1898 and married Georgia Perkins in Sedan, Kansas, that same year. The couple moved to Oklahoma and settled in Lawton in 1901. Hamon was elected city attorney and later became mayor. A son, Jake, Jr., was born in 1901 and a daughter, Olive Belle, in 1909. Hamon started his political career as Republican territorial committee chairman. In 1909 in Washington, D.C., he lobbied for Gov. Charles N. Haskell, who faced land fraud charges. The following year Hamon was accused of bribing Sen. Thomas P. Gore to support attorney J. M. McMurray's land contracts with the Choctaw and Chickasaw nations. In 1920 Hamon was elected Oklahoma's Republican national committeeman over Chandler's John Embry and Oklahoma City's James J. McGraw. Meanwhile, Hamon undertook several business ventures. He relocated to Ardmore in 1912, and he joined with John Ringling, circus magnate, to build a railroad from Ardmore to Ringling, and then moved on to the Healdton Field and began speculating in oil leases. After making a fortune there, he started ventures in Texas, creating the short-lived town of Jakehamon during the Desdemona oil boom of 1919. He also had large holdings in the Wichita Falls, Ranger and Fort Worth Railroad. At the peak of his Oklahoma political power, on November 26, 1920, Hamon died of a gunshot wound he received from Clara Smith Hamon, his mistress and secretary and wife of his nephew. She was tried the following March and was acquitted of murder on the basis of self-defense. Jacob Louis "Jake" Hamon was buried in Ardmore's Rose Hill Cemetery. Daily Ardmoreite (Ardmore, Oklahoma), 26, 28, 29 November and 5 December 1920. Angie Debo, And Still the Waters Run: The Betrayal of the Five Civilized Tribes (Princeton, N.J.: Princeton University Press, 1940). Larry C. Floyd, "Jake Hamon: 'The Man Who Made Harding President'", The Chronicles of Oklahoma 87 (Fall 2009). 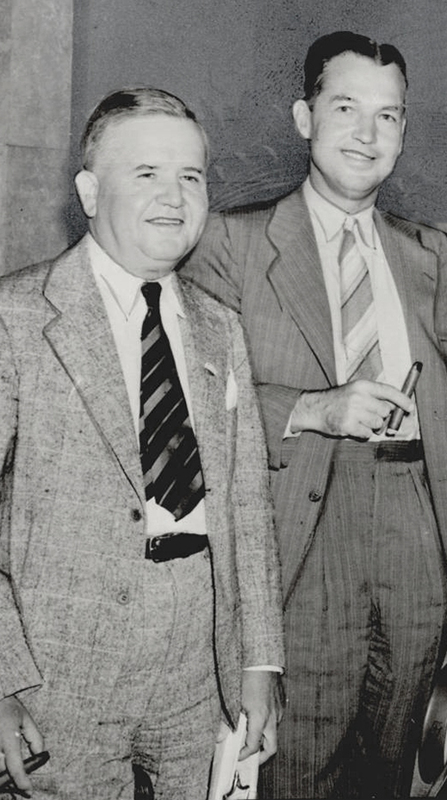 "Frank Hamon and Jake Hamon," Vertical File, Research Division, Oklahoma Historical Society, Oklahoma City. Patty Virginia Norton and Layton R. Sutton, Indian Territory and Carter County, Oklahoma, Pioneers Including Pickens County, Chickasaw Nation, Vol. 1 (Dallas, Tex. : Taylor Publishing, 1983). Stephanie Shafer, "Hamon, Jacob Louis," The Encyclopedia of Oklahoma History and Culture, https://www.okhistory.org/publications/enc/entry.php?entry=HA058.